With the obesity epidemic increasing there has never been so much bad information about eating fats on the internet or on T.V. For the past 40 years almost everyone has fallen for the high carb low fat diet that has made nearly 1 in every 2 people around the world overweight. Fortunately it’s not too late to turn things around and get your body back into fat burning mode. This fat is called coconut oil. Coconut oil is a wonder fat that can be used by eating it by the spoonful or by adding it into your next recipe. I love adding it to recipes for any meal during the day. Coconut oil actually tastes like coconuts too. According to a study from Academia they found that coconut oil can activate thyroid function, which promotes weight loss for people who are overweight. Coconut oil also has some powerful anti aging properties and you can use coconut oil on your skin too. Those who eat coconut oil tend to be some of the healthiest people in the world. Research has shown that adding a spoonful of coconut oil to your diet daily, can led to measurable weight loss results, without adding in exercise or restricting calories. Another great benefit to eating coconut oil is that it doesn’t raise your blood sugar. The excess release of blood sugar is one the the biggest problems for people overweight. 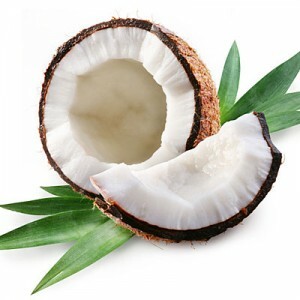 Since coconut oil is a healthy fat it does not trigger your body to produce insulin. While foods such as pasta, potatoes, breads, and other processed carbohydrates raise your blood sugar levels dramatically, eating fats such as coconut oil has no effect whatsoever on your blood sugar levels. I personally love and use coconut almost on a daily basis. Now remember, eating fat is entirely different from storing fat. Eating fat will not make you fat because eating fat makes you burn fat!